The newest members of Orkney Food and Drink are the latest subject of our Business Focus feature. The Orkney Roastery is the first dedicated micro-roastery in the islands, sourcing quality coffee beans and, with care and attention, creating its own range of delicious coffee blends. Orkney is famous for its food and drink. Over the years the focus has very much been on the 'food' side of things - things like our beef, shellfish, cheese and and ice cream. But, more recently, the 'drink' aspect has really been coming to the fore. We now have two world-famous distilleries, two award-winning breweries and three artisan gin producers. Now coffee is the latest tipple to be tackled by local producers, with the launch of the Orkney Roastery. Sara Tait and Euan Smith have been working hard in the background over the past few months, sourcing and roasting high quality coffee beans from around the world to make the perfect blends for the Roastery's new Aria brand of coffees. Creating the perfect cuppa is no easy process. It's the same as producing beer, wine or whisky. There is a lot of trial and error, a lot of testing and a lot of patience required. 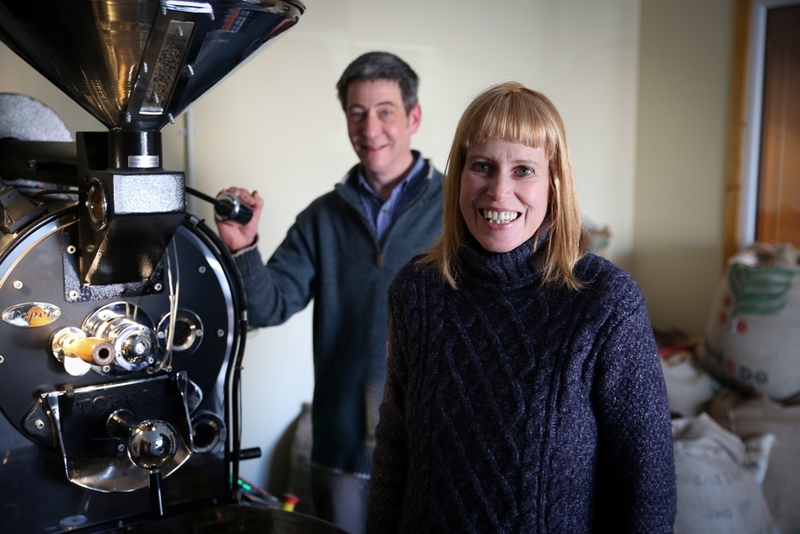 Sara and Euan invested in a special 10kg Toper gas roaster, which has been customised to have exact control and recording capabilities to match their roasting processes. Beans from around the world, including places like Colombia and Kenya, are sourced and then Sara and Euan get to work. They figure our the best way to treat and roast the green beans to maximise the flavour, a process which involves testing various beans in a sample roaster, then 'cupping' them to taste test each one. This helps them understand the characteristics of each roast, and is a very exact process. The Orkney Roastery will be offering whole bean coffee along with cafetiere, filter and espresso grinds. There are also plans to develop special blends, including espressos with real variety. The main brand is named 'Aria', after a coffee loving character in Johann Sebastian Bach’s comic opera, The Coffee Cantata. The musical theme continues with the Roastery's first Colombian coffee named Bolero, and its first espresso called Overture. 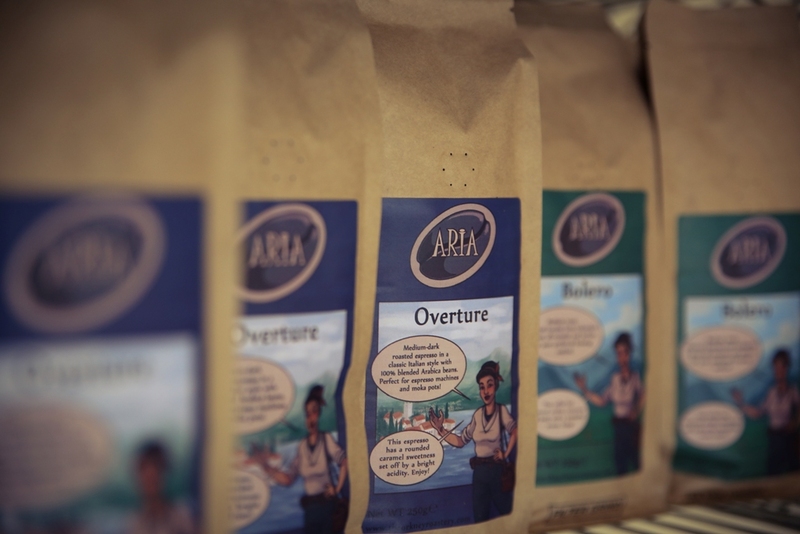 Overture and Bolero, part of the Roastery's Aria range. So, another unique local company creating an original, hand crafted product in the beverage sector. Maybe it's time to change the name of the group to Orkney Drink and Food. For more information on where to find the Aria brand of coffee, visit the Orkney Roastery Facebook page. Visit the Orkney Food and Drink website for more details on our talented island producers.